Is death the end? Can those who have passed on continue to communicate with the living? In Afterlife people from all over the world, of different ages, backgrounds and beliefs unite to share their experiences of after-death communication. After-death communication is the spontaneous communication from the deceased to the living, without the use of mediums, psychics or clairvoyants. In this compilation we hear vivid and moving stories from parents who have lost children, children who have lost parents and grandparents, and others who have lost beloved friends, who all say that their deceased loved ones have been in contact. 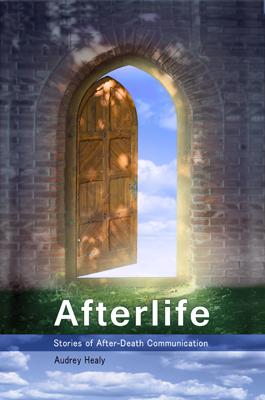 Afterlife also confronts the more menacing aspect, that of the paranormal: do ghosts really exist? We hear the stories of those who have had to deal with the scary and the sinister. Author Audrey Healy also speaks to a number of independent experts on this divisive subject, including a psychic medium and healer, a life coach and spiritual director, a psychotherapist, spiritual consultants, a bereavement counsellor and a historian who holds a PhD in the supernatural to get their opinions on this fascinating subject. Audrey Healy, author and freelance journalist from the midlands, is the author of six books, St Thérèse in Ireland, Dubliners: What’s the Story?, Contacted (with Don Mullan), The Singer and the Song, Mick Flavin – Celebrating 20 Years, and The Rose and the Thorn (with Don Mullan).